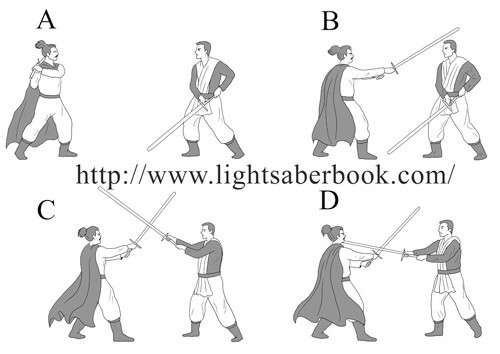 Author Carey Martell’s book ‘Lightsaber Combat for Beginners Book: The Unofficial Guide to Dueling Like a Jedi’ is the first genuine guidebook on how to use a lightsaber. In his book Carey describes the step by step methods using over 170 detailed illustrations that show ten guards and eight different striking techniques. The book also has 10 drills that can be organized into custom choreography. When writing his book, Carey based his saber system on the historical sword fighting techniques featured in ‘The Flower of Battle’, a 14th century manuscript written by the famous duelist Fiore dei Liberi.